Learning Paths School welcomes all students from diverse social and cultural backgrounds who demonstrate a desire to continuously learn and grow. The school offers a nurturing environment that fosters sharp learning skills, a top-of-the-line curriculum that offers the best in education. The school´s academic session commences is from April – March every year. Admissions to Pre Nursery and Nursery are drawn on the basis of transparent system of draws conducted in the last week of January of every year. Admissions for rest of the classes are open throughout the year, but are subject to availability. 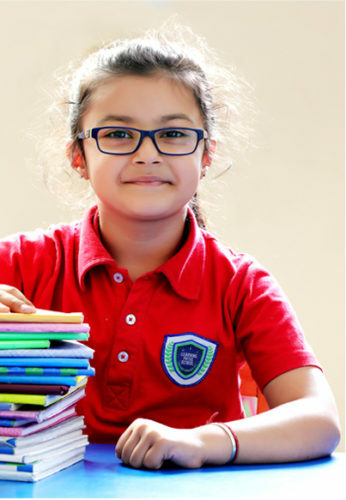 Your child can start school at any time during the academic year, except if seeking admission into CBSE Classes X and XII, As the academic year commences in April, maximum enrolments take place in the month Jan-Feb. We advise that you plan and complete the admission of your child in advance to avoid the rush period, as the Admissions Team reviews applications for new admissions from November each year. In order to take your interest for admission forward, we encourage you to make an appointment with our Admission Counsellors and visit our campus. Our Admission Counsellor looks forward to welcoming you to our campus for a tour and providing details about the school, curricular and extracurricular activities. Parents may contact Admissions Department for admission in the current session to check availability of seats. Parents / Guardian are expected to visit the school campus to understand the culture and ethics of the institution, whether it is in sync with their expectations from the school that they will choose for their child. LPS Admissions department will present details on the infrastructure, capacity, availability of seat, values and ethics, discipline and vision of the school. Registration forms along with prospectus are available in the school admission department. Complete registration forms can be filled at the school admission office. Registration will however only be complete on receipt of the appropriate fee made payable to Learning Paths School. The last date of submission of registration is Jan 30th, 2019. The draw from Pre Nursery and Nursery will be conducted on Feb 9th, 2019. For other classes, please register by Jan 30th. The parent needs to fill up the admission form and ensure all documents are in order. The child will be met to ensure that there is no special help needed for the child and the school is equipped to handle if there is any medical condition that the child is suffering from. 2+ years complete for Pre-Nursery on 31st March. 3+ years complete for Nursery on 31st March. 4+ years complete for KG on 31st March. 5+ years complete as for Senior KG on 31st March.